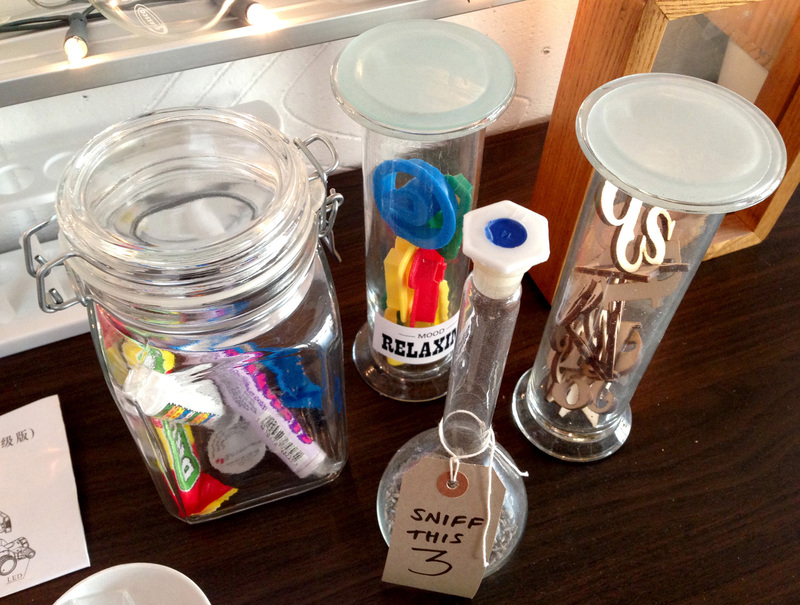 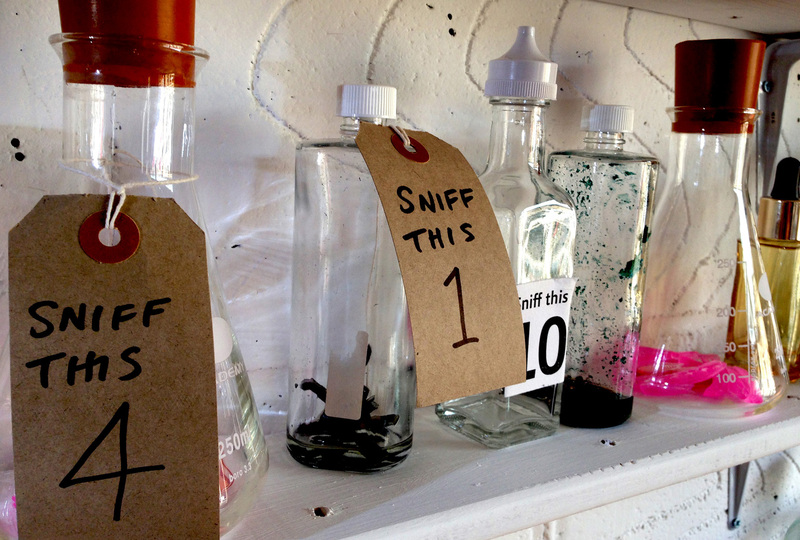 The Type Tasting studio is full of jars of smells, sweets, mystery boxes to identify from the typefaces on the packaging, typographic memorabilia and puzzles. 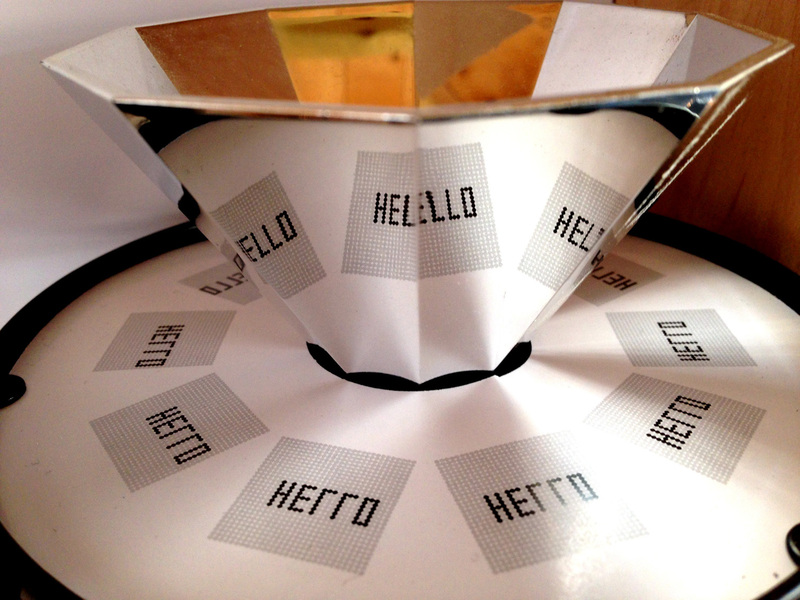 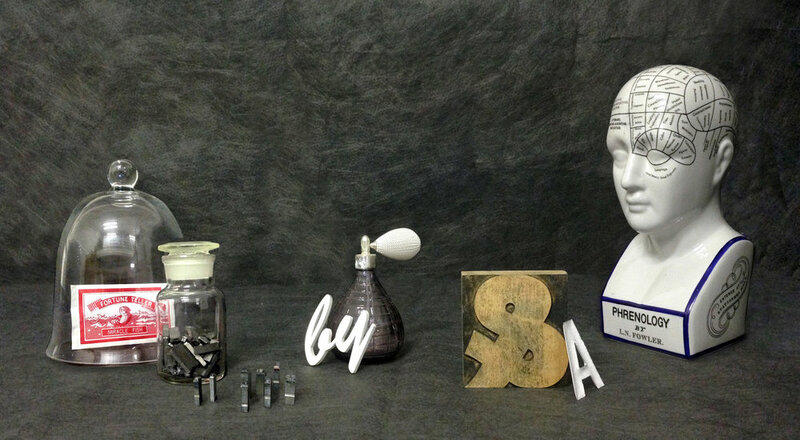 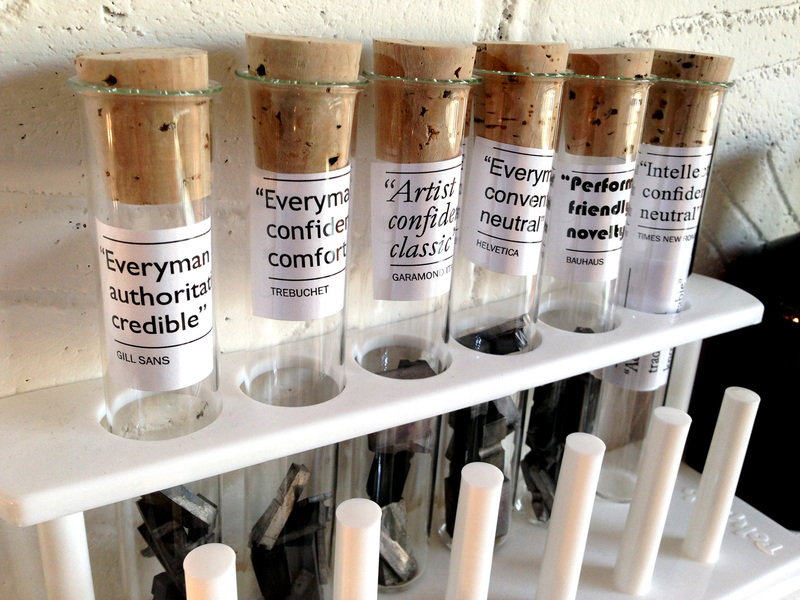 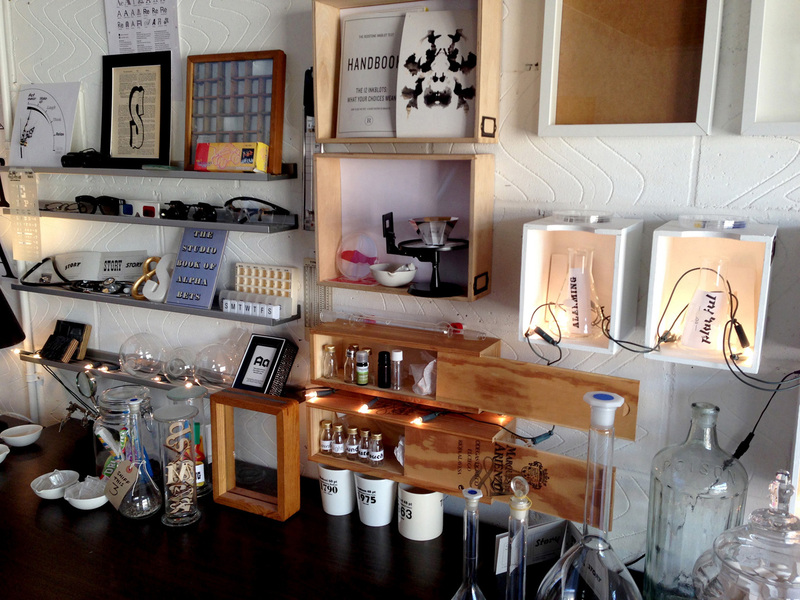 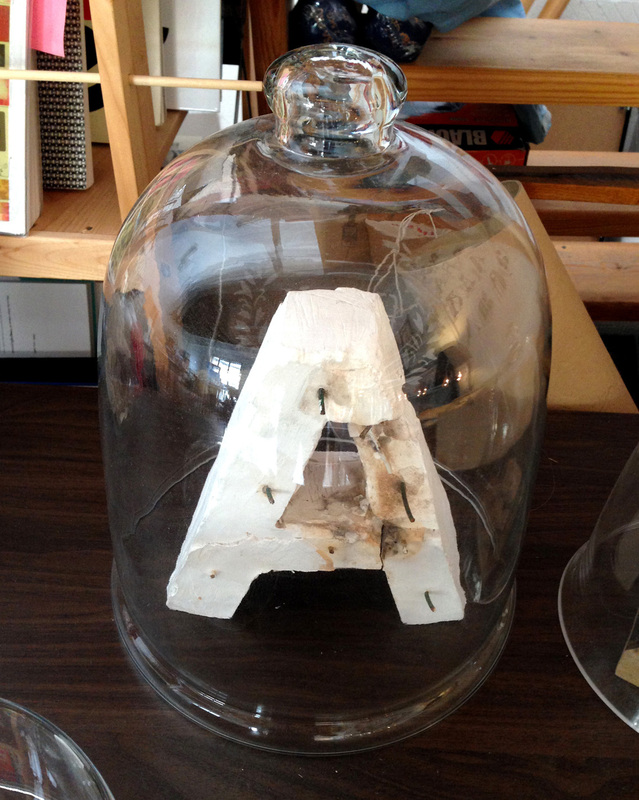 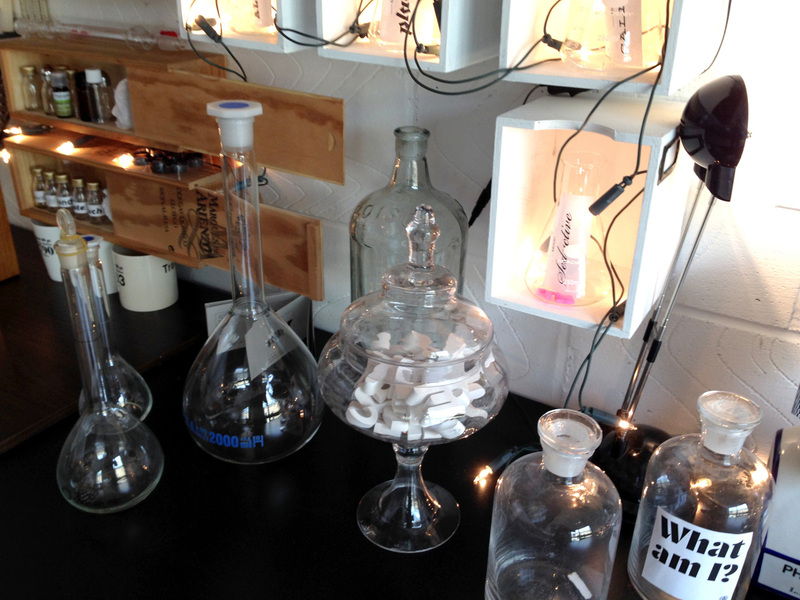 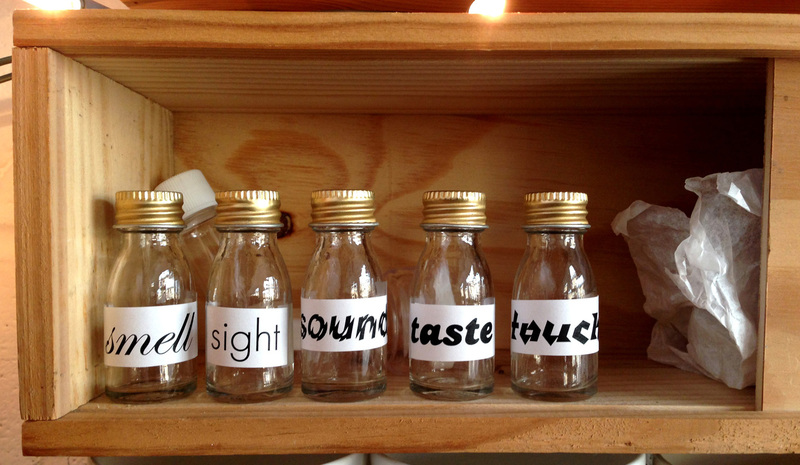 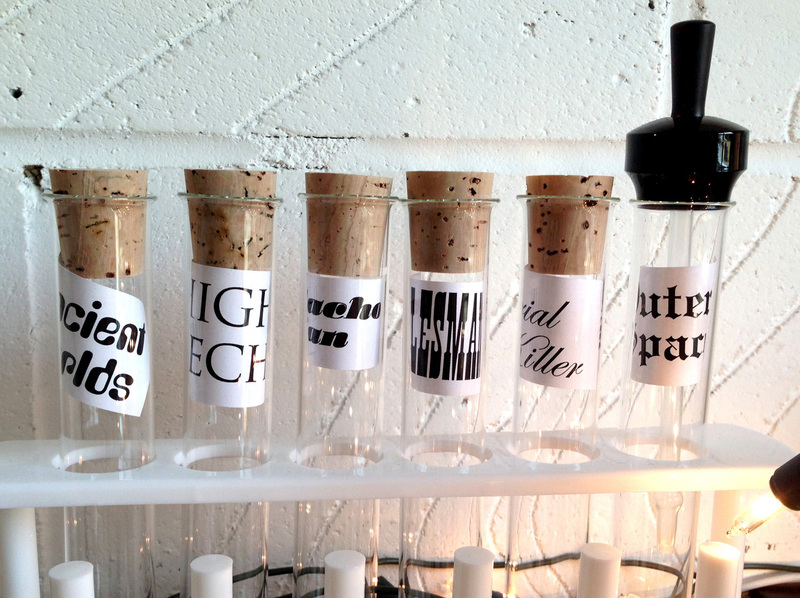 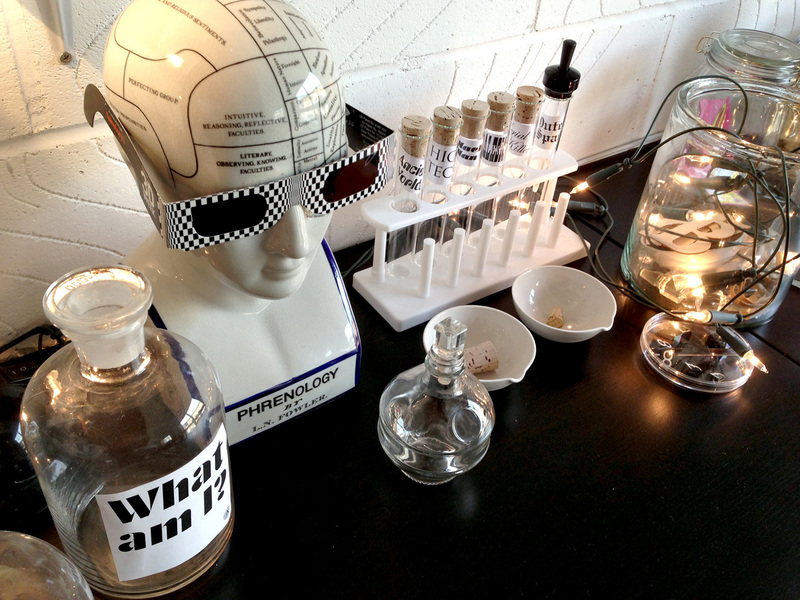 “Walking into the Type Tasting studio was like walking into a mad scientist’s lab” Robert Boick. 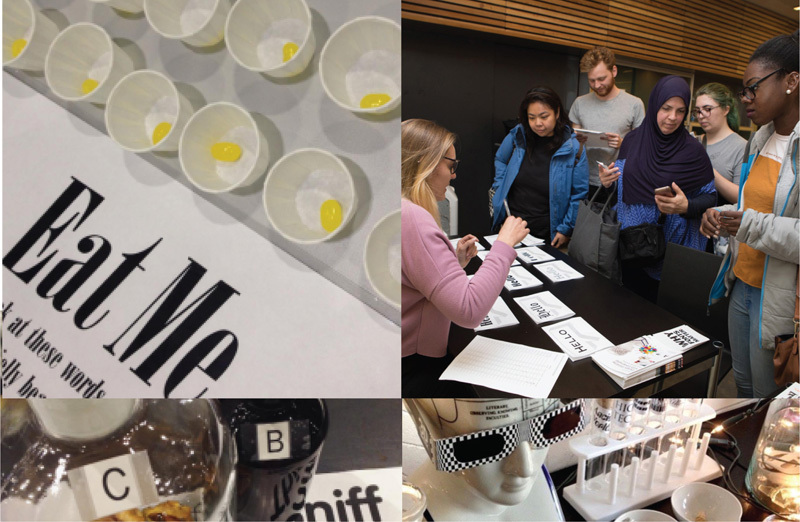 Type Tasting is an experiential type studio founded by Sarah Hyndman to research how typefaces (fonts) evoke emotions, prompt multi-sensory interactions and influence us as type consumers. 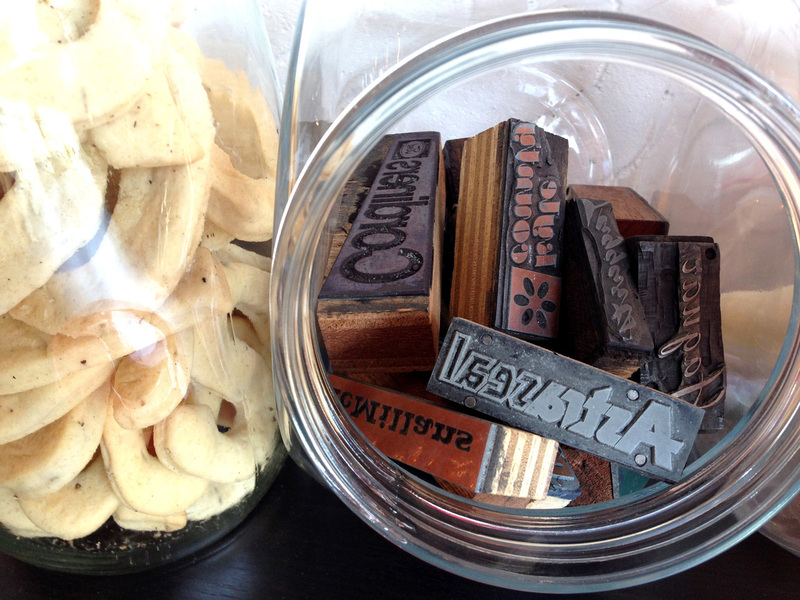 A range of workshops, talks, demonstrations, Type Safaris and a book are available. 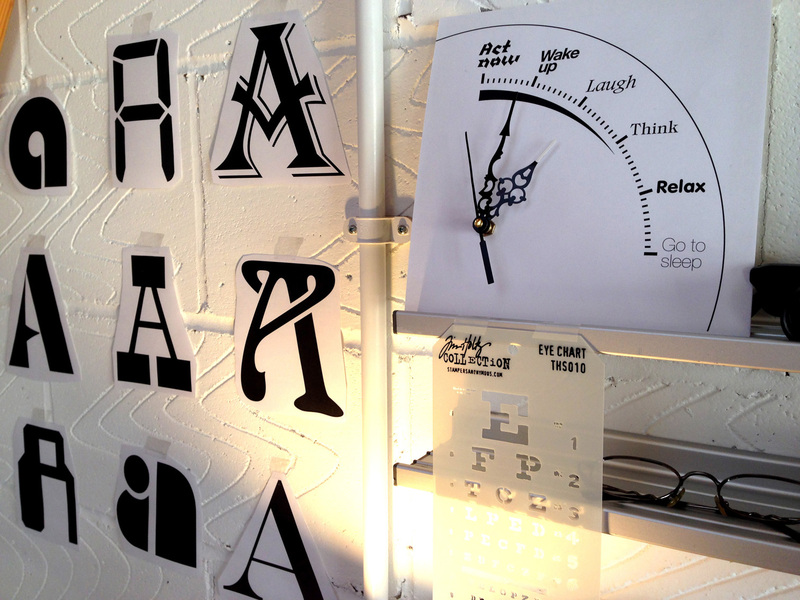 Please get in touch if you would like to organise a talk or workshop for your group or organisation.